Pregnancy can be a time of joy and beauty, but it can also make you feel tired, uncomfortable, and stressed. Look for products designed to make you feel more relaxed, pampered, and knowledgeable about the changes your body is going through. You will find these eight pregnancy products helpful, whether you need something to settle your queasy stomach, help you sleep better at night, support your growing belly, or provide you with more pregnancy information. 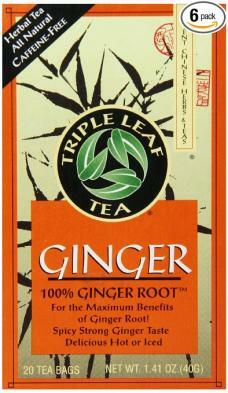 If you have morning sickness, you really need Triple Leaf Ginger Tea. This product is made by the Triple Leaf Tea company and comes in convenient tea bags containing 100 percent ginger root. According to the American Pregnancy Association, ginger helps settle symptoms of morning sickness such as nausea and vomiting, which are all common complaints of pregnant women, especially in the first trimester. Amazon sells Triple Leaf Ginger Tea for about $21 for six packs which contain 20 tea bags each. Reviewers on the site give this product high ratings, but it's worth noting that UMMC recommends you speak with your doctor before ingesting ginger regularly. You will enjoy the support and heavenly comfort you get from the C-shaped Leachco Snoogle Total Body Pillow. It will ease your discomfort as your pregnancy advances so you can sleep well. This large body pillow supports your back, belly, legs, and other body parts while you sleep or rest during all stages of pregnancy. This body pillow retails for about $55 on Amazon where it receives high ratings from customers. It's interesting that even the husbands of the women who benefited from these pillows give great reviews on the website. You can also checkout other pregnancy pillows of various shapes and sizes. It fits snugly around your middle to cover the tops of pants and skirts you can't zip or button. It helps stop pants and skirts from slipping down. It adapts to your expanding belly, and it can also be used after delivery until your belly gets smaller. The Bellaband is highly rated by customers at Nordstrom where it retails for about $28. The tank acts as a support belt for your belly in a more convenient, comfortable version that doesn't irritate you like other forms of maternity belts. It lifts and supports your belly and lessens pelvic and back discomfort as your pregnancy advances, according to the designer's description. The top supports your growing breasts, your upper torso, and your back. The BellyBra Maternity Support Tank received good reviews on the Pregnant Chicken website. You might also consider other types of maternity shapers and support garments that contour your shape and ease your painful areas. The Natori Molded Cup Underwire Nursing Bra is made of spandex and nylon and is soft and comfortable. It's lightly padded yet gives great support as your breasts grow heavier and more uncomfortable during your months of pregnancy. The cups clip down for convenient access to breastfeed your baby after your delivery. Purchase the Natori Molded Cup Underwire Nursing Bra at Destination Maternity for about $40. Customers give this bra a good rating on the website. These clogs are roomy and have arch support and a cushioned sole. They're great for women who stand all day, including nurses and surgeons. They also help ease back pain caused by extra baby weight and other pregnancy changes. A pair ranges from about $100 to $140 at Zappos, and customers give these clogs excellent reviews for comfort. Itchy skin, including itchy stretch marks, is a common nuisance during pregnancy and can grow worse in the second and third trimesters. 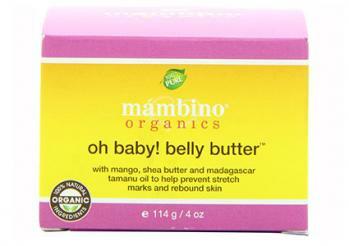 Indulge in Mambino Organics Oh Baby! Belly Butter for full, body-soothing relief. This body butter contains all natural ingredients such as shea butter, seed butter, olive oil, and avocado oil. Some users claim this product prevents stretch marks, but there is no scientific proof that any lotion or cream can accomplish this. According to the Mambino website, iOrganics Oh Baby! Belly Butter was the winner of Disney's iParenting Media Award for Outstanding Product of the Year. It was also rated by the Disney Family Editors as one of "The Top Ten Pregnancy Essentials." You can purchase a 4-ounce jar for around $31 on the Mambino website, and it's also available through other retailers. You can search for pregnancy information on the Internet, but you may want to keep a reliable reference book handy. What to Expect When You're Expecting is filled with detailed, week-to-week descriptions of everything you want to know about pregnancy and childbirth. The easy-to-read information is sure to ease your stress and answer your questions about pregnancy and delivery. What to Expect When You're Expecting is available on Amazon for about $15 for a paperback, $20 for a hardcover, and $9 for a Kindle ebook. The website describes the book as a "perennial favorite New York Times bestseller and one of USA Today's 25 most influential books of the past 25 years." Enjoy the beauty of your pregnancy by investing in a few essentials that can make a difference. Your comfort is key to making the best of your pregnancy. When you're trying to decide if a particular product will be helpful to you, pay attention to your needs, symptoms, and other changes you experience as your baby grows.